The Samsung Z was announced by Samsung a few days ago. The device came running a new Tizen UI never seen before that brings out the best of TouchWIz and the rounded icons. 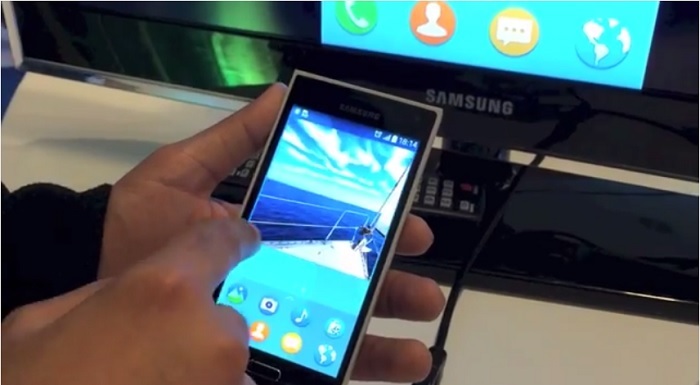 The UI has most of what you are able to do on Galaxy Touchwiz, but there is more swipe UI on Tizen. As you all might remember that the original source of Tizen was Meego which was a swipe driven UI. Samsung has held back on Tizen powered smartphones for quite some time now and this is quite a surprise that they decided to unveil this uneventfully. The device goes to Russia first, one of the countries that is so loyal to Samsung and a very important market for them. Previously Samsung talked of only rolling out Tizen on high end devices and in only the Samsung important markets. They have gone on to get big in the wearables, all Samsung smartwatches run Tizen, we are going to see other smart devices like TVs and entertainment run on Tizen. So here goes the Tizen demo done by the guys over at TheHandHeldBlog. Samsung has made sure with time that the user never really feels a difference when jumping from an Android powered Galaxy to a Tizen powered one. The UI is quite similar including the icons, notifications centre, settings and basic apps like dial and message app. You even see health apps and the Samsung gallery on Tizen. Quite different is the way to access the app drawer, instead of tapping at an icon, one swipes from down up. The homescreens are there just like on Galaxy Devices. Watch the video yourself and see how different or familiar it is.